Those looking for job offers online will be looking for lots of information that they can use to find the job they're looking for. 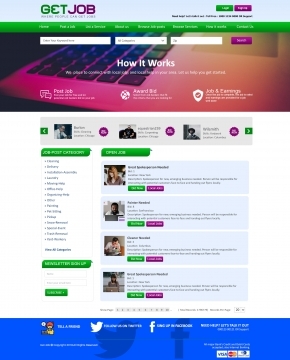 This requires a good online layout and reliable navigation features, both of which are found in this Job Portal Template. Featuring a fully responsive design, this template is powered with HTML 5 which means that it promotes the use of diverse content to allow the companies to better present your offers to potential employees. This template is readymade, so there's no more need to design your own site. Users will be able to keep themselves up to date with the latest job vacancies by signing up for job alerts. They can also directly communicate with you via the user-friendly contact forms. And with Google Map support, pinpointing specific locations for certain job offers is possible. Lead more job seekers to your site with Job portal templates! 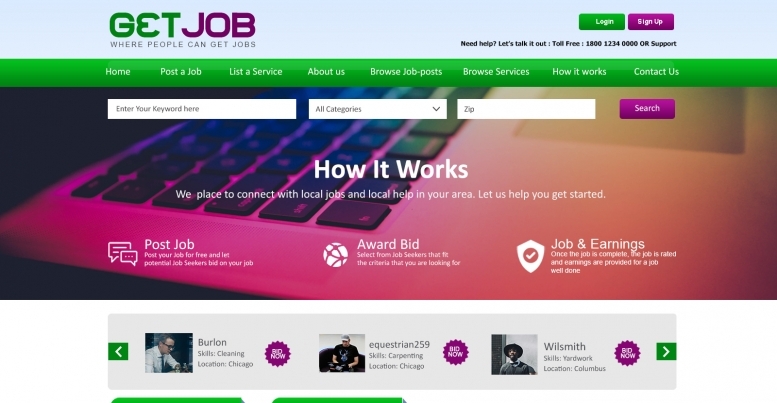 The template features a powerful search which would enable the candidates to search for their favorite jobs using keyword, category and zip location.